Fairline Phantom 48 *** Viewing Recommended *** Fairline Phantom 48 (2008 Model Year). Twin Volvo Penta D9-575 diesel engines (575Hp each). 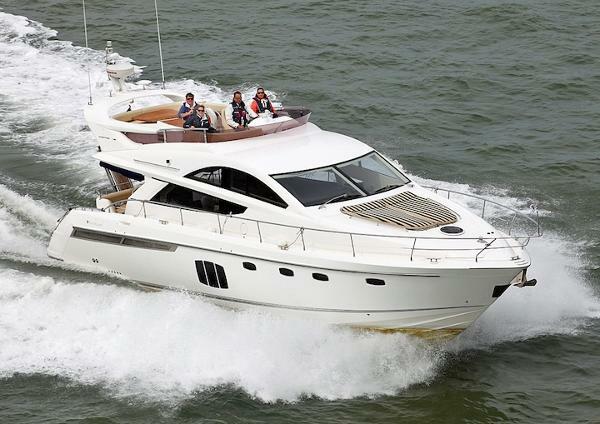 This example of the Fairline Phantom 48 benefits from a comprehensive specification including 7KVA Onan generator, Hydraulic passerelle crane, Eberspacher heating system, Crew cabin upgrade, Raymarine electronics package, MCA coding preparation and much more. 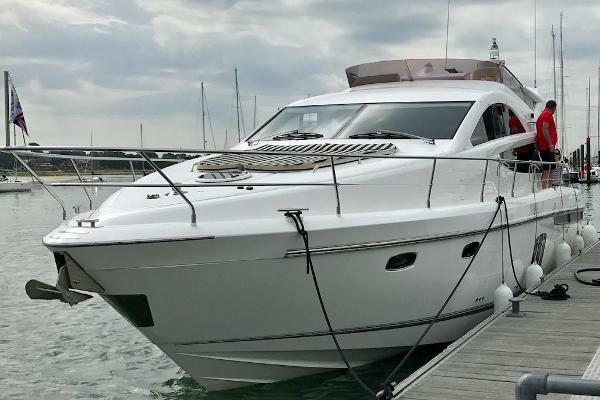 Based on the south coast, UK and maintained to a high level by her experienced owner, viewing of this Fairline Phantom 48 is highly recommended. Priced competitively, please contact us to discuss this fine opportunity in more detail and to make viewing arrangements.